Source of title proper: Title based on content of the item. 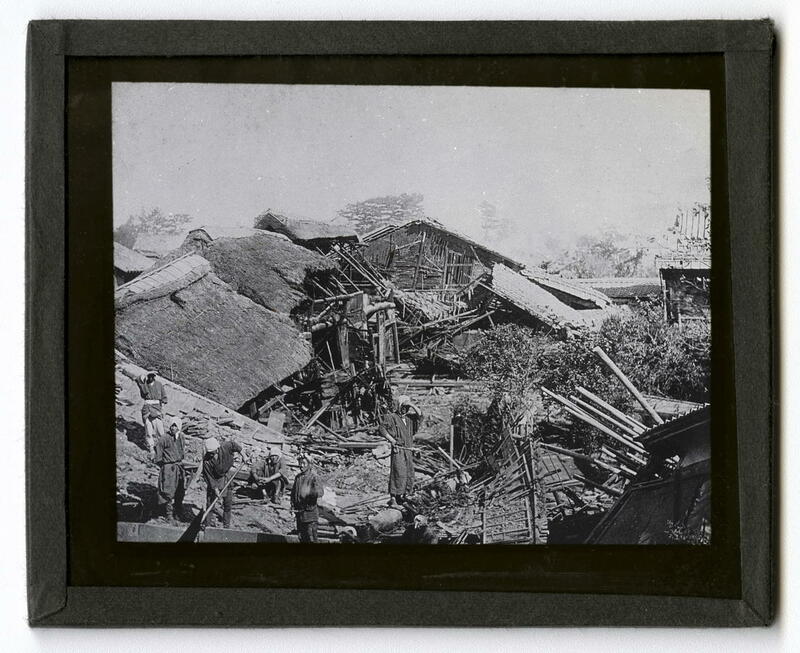 Item is a photograph showing earthquake destruction at Biwajima. Six people are in the foreground.